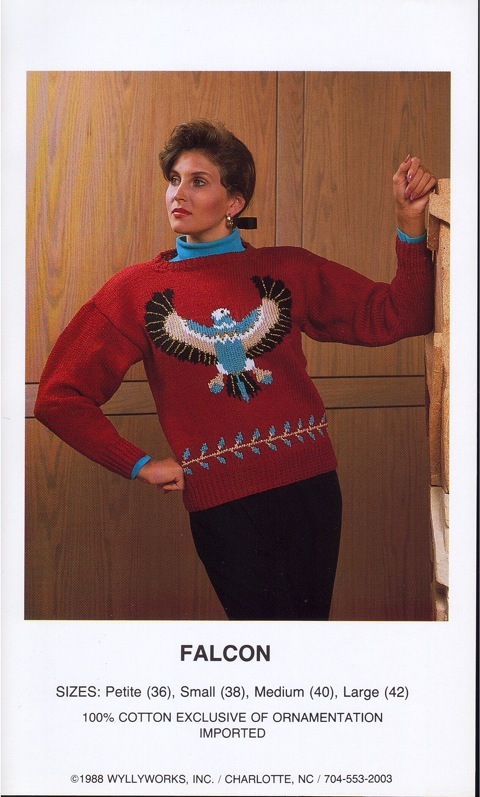 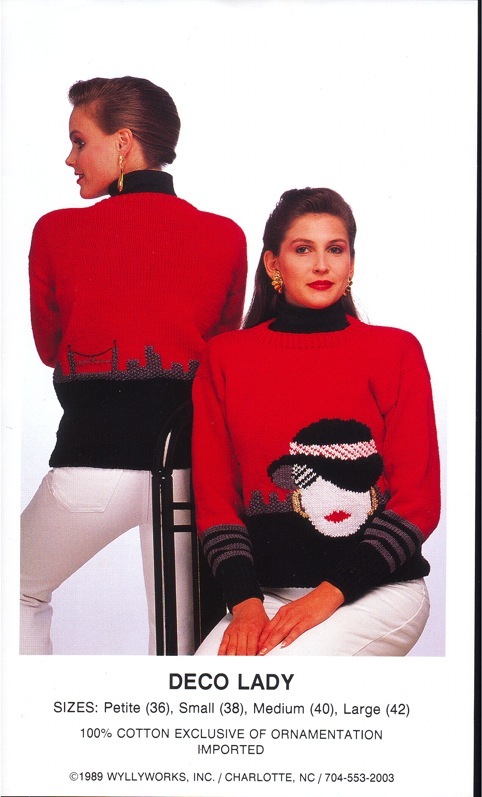 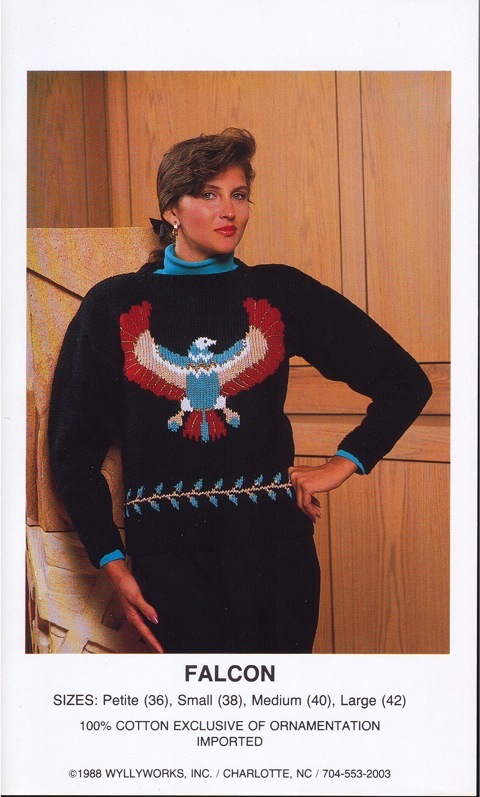 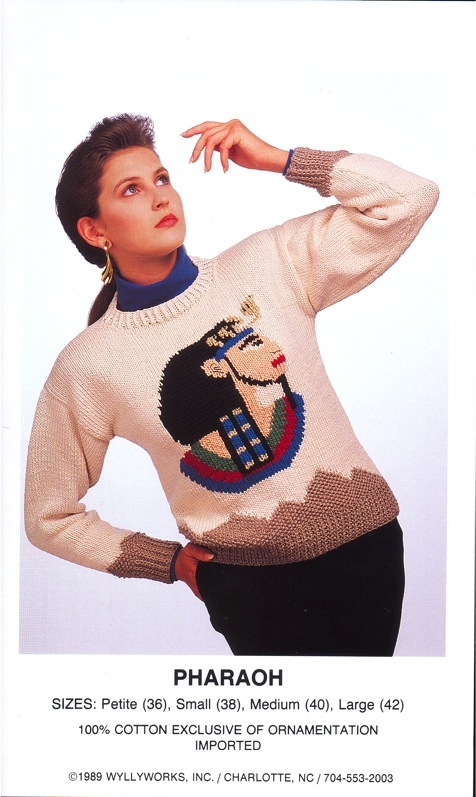 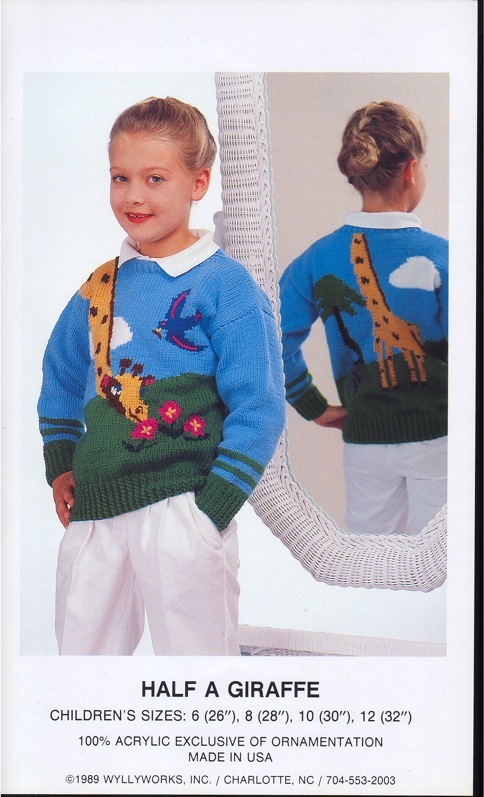 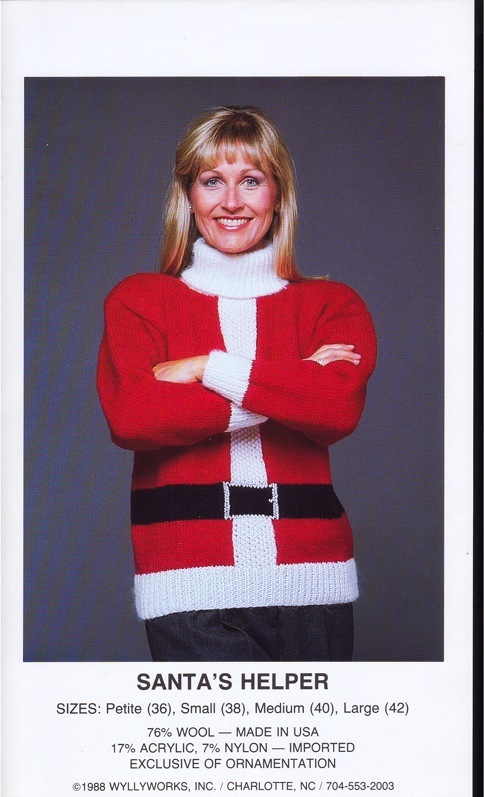 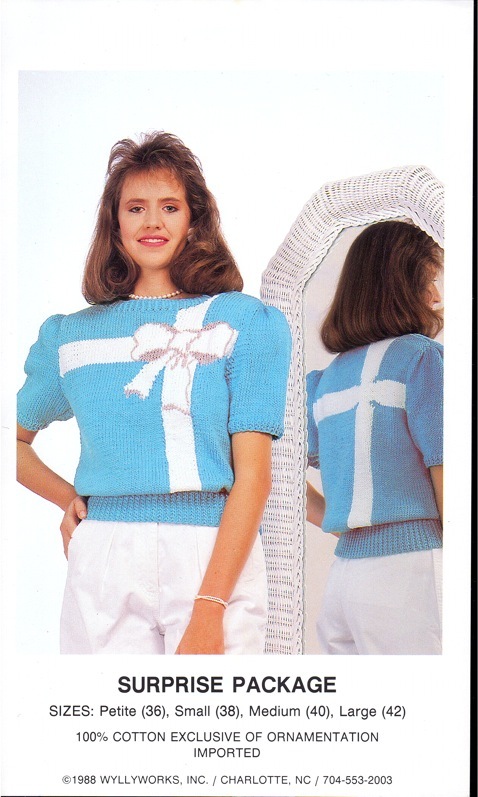 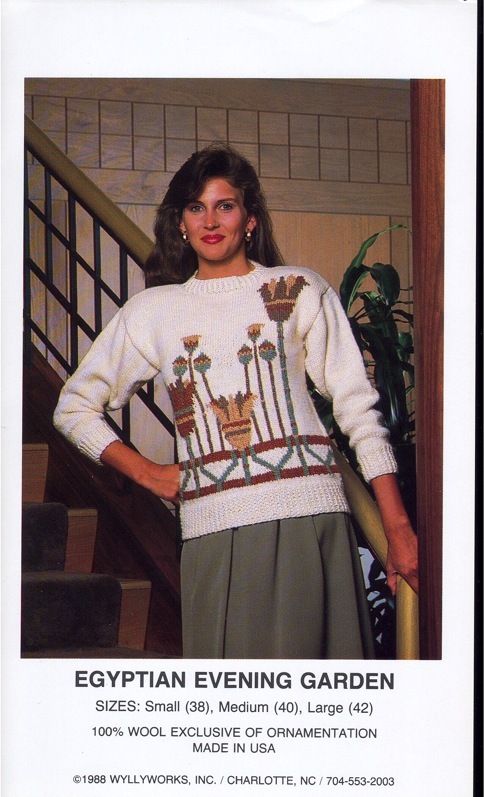 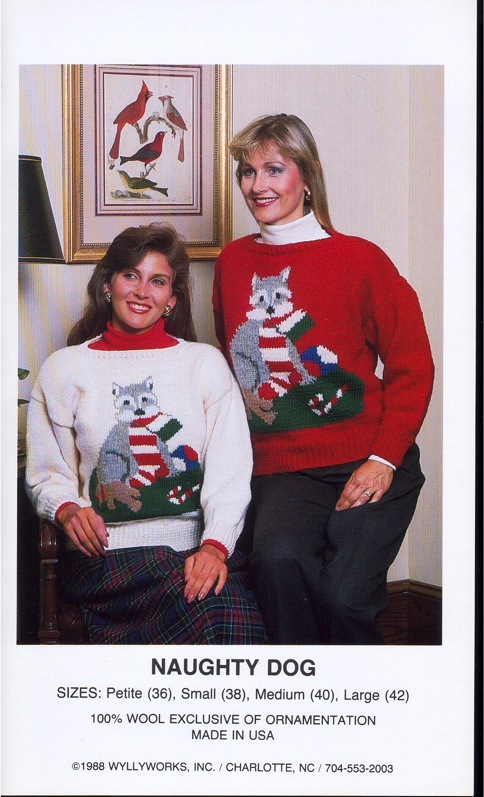 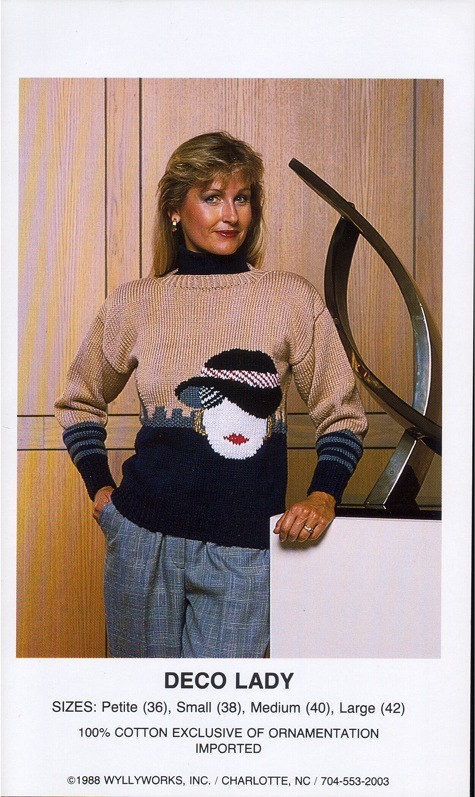 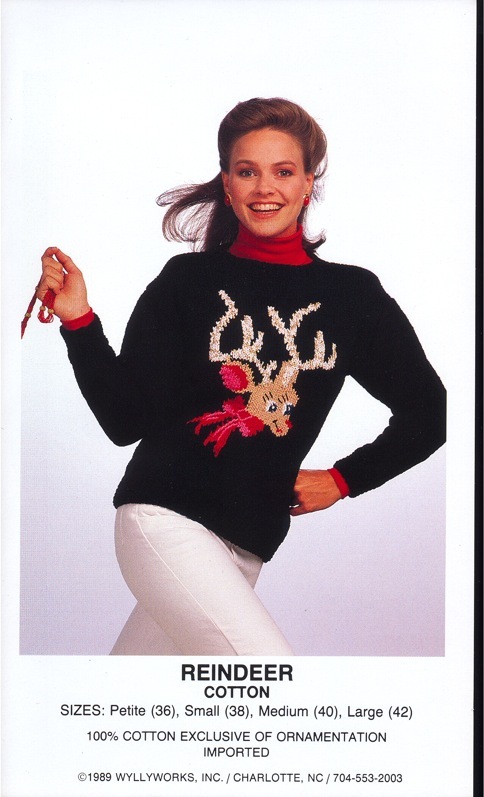 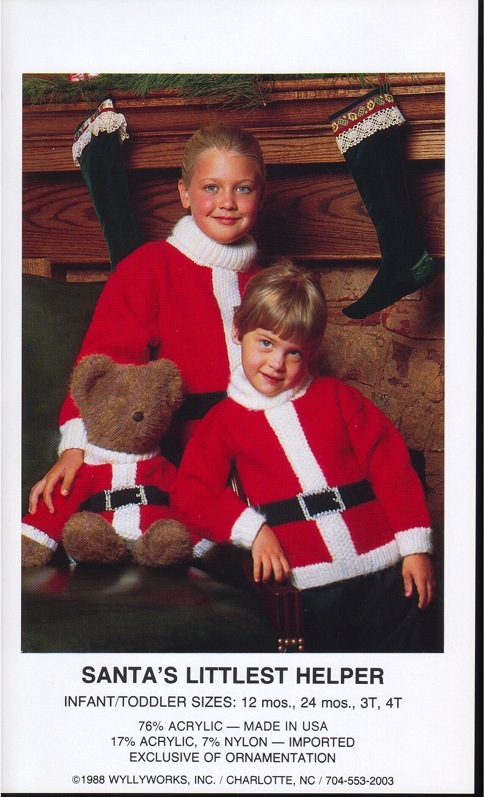 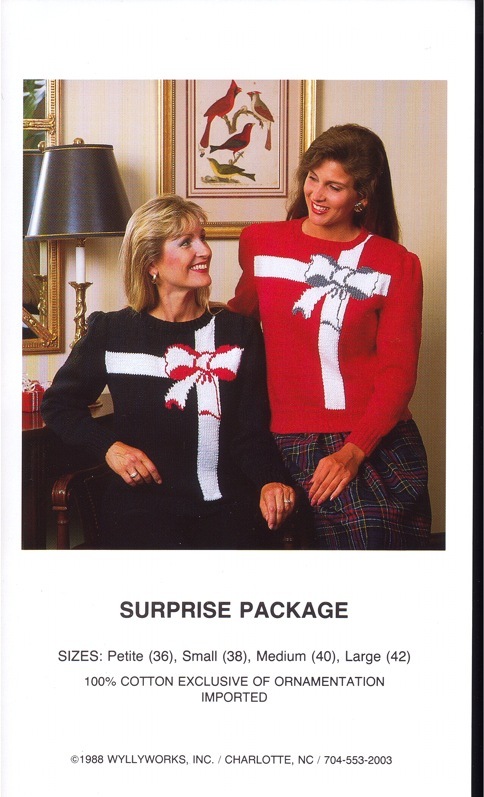 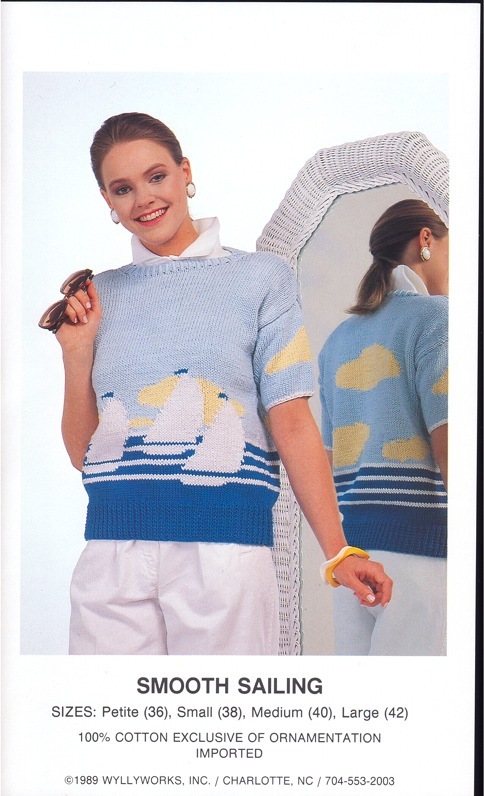 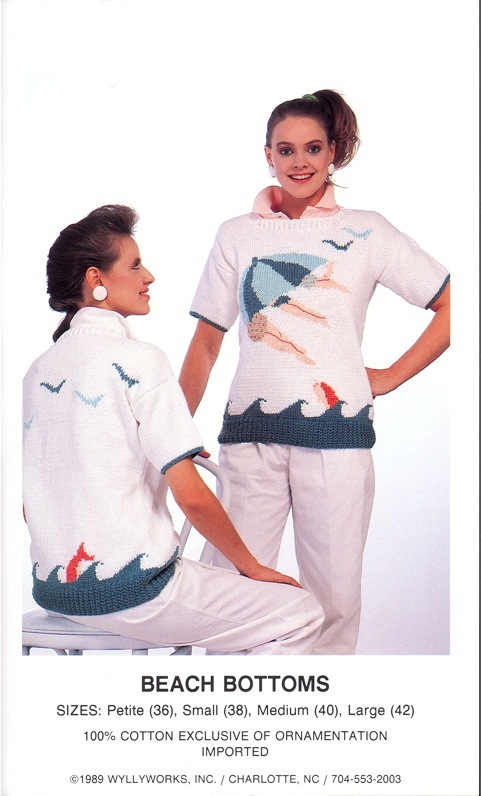 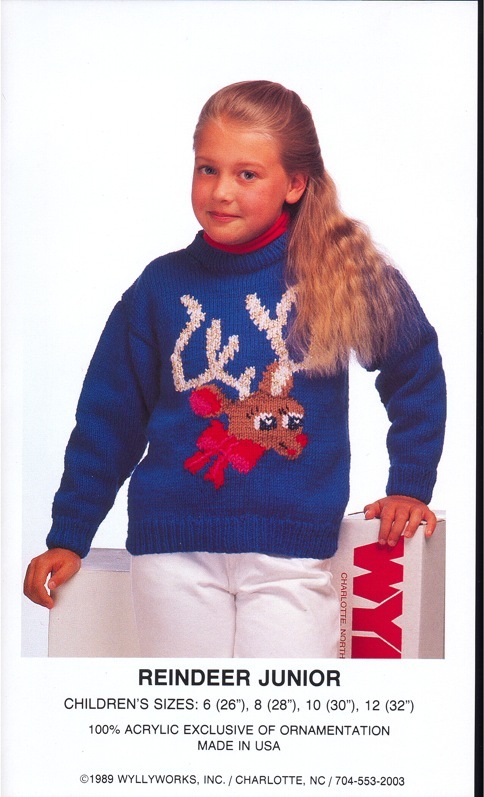 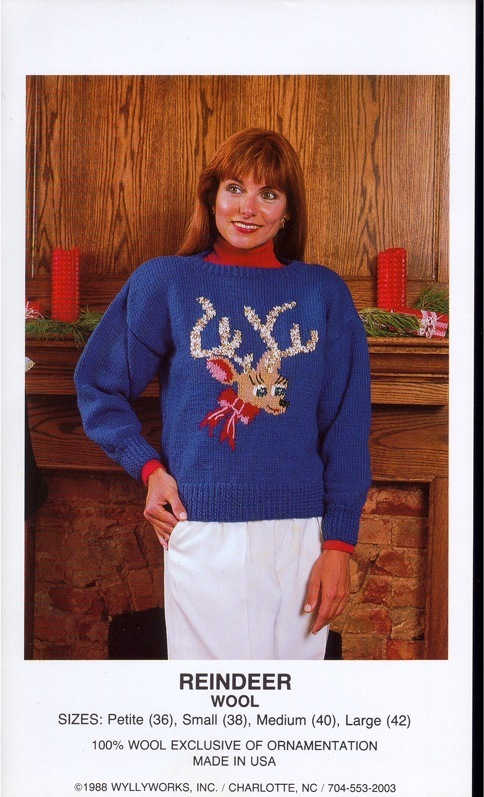 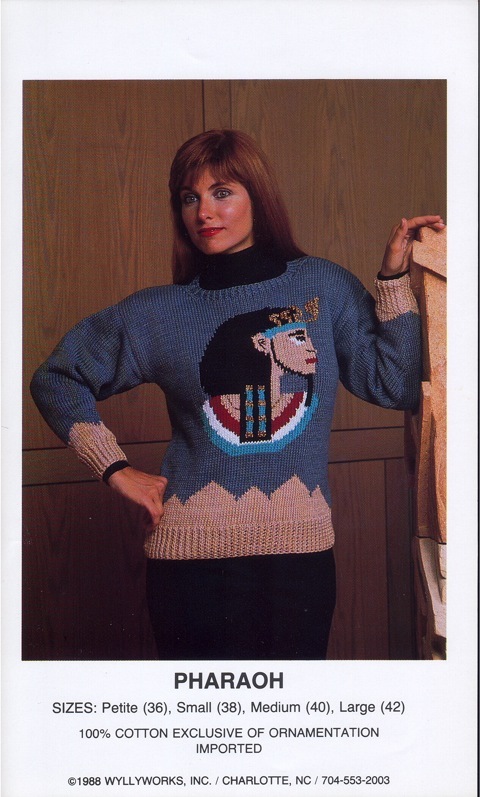 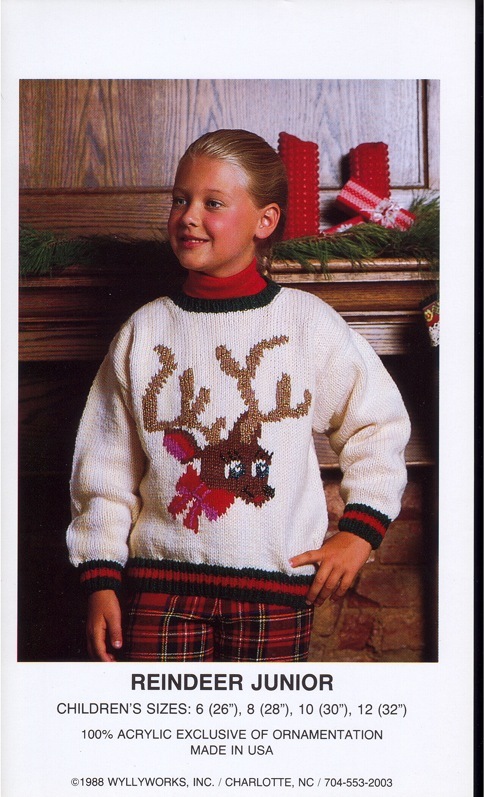 Around 1988, Lorri was hired to produce custom design sweaters for a Charlotte company. 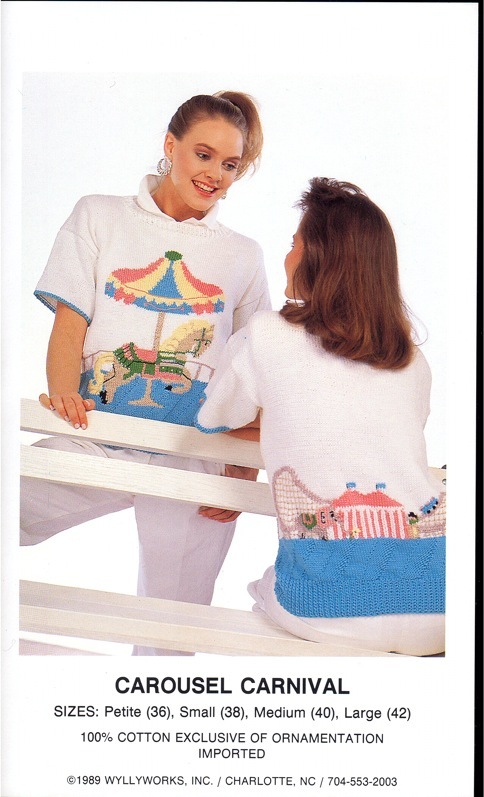 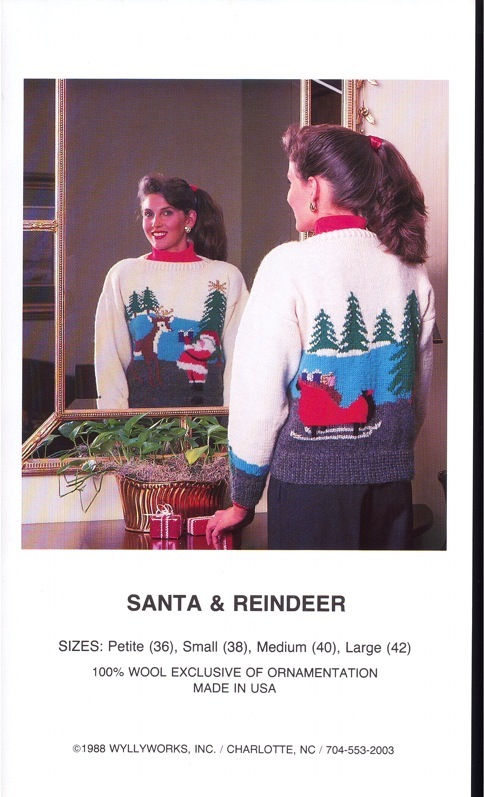 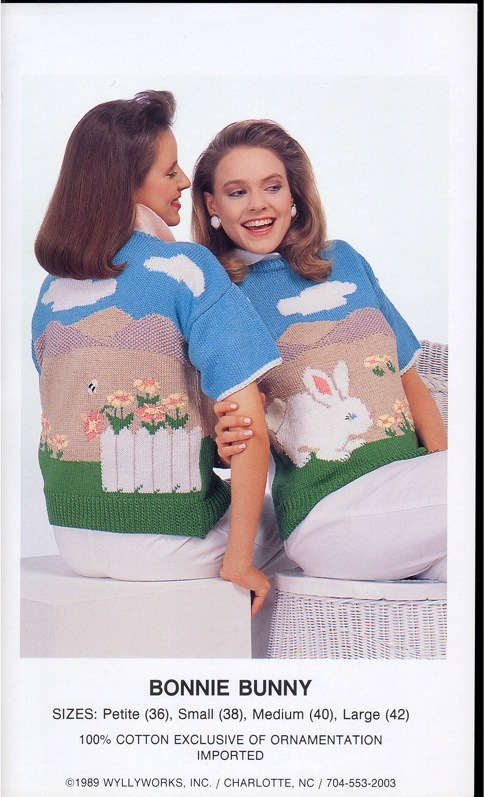 These wonderful design became part of the company’s catalog for 1989. 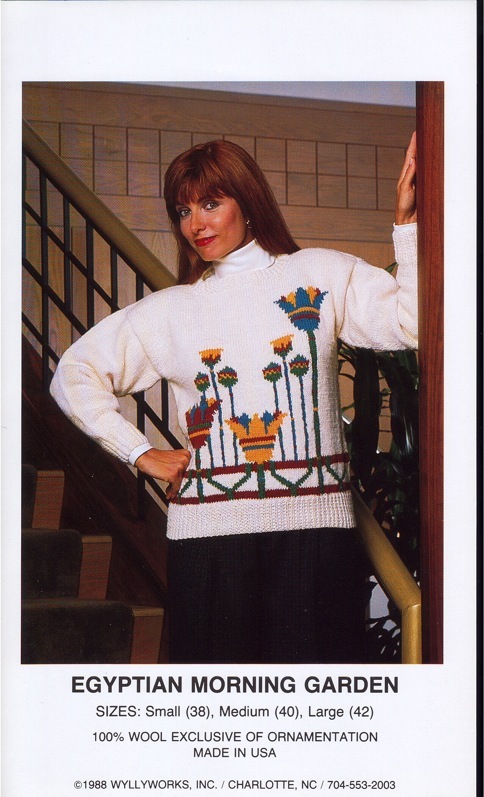 This gallery shows the images from the catalog of Lorri’s designs. 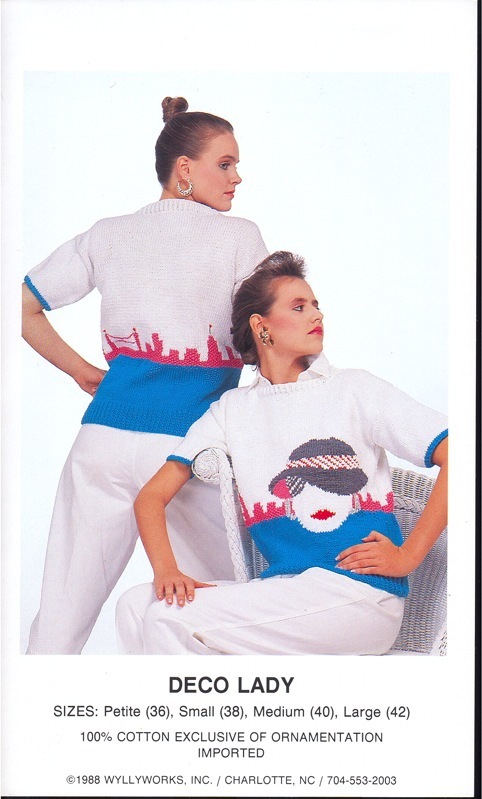 Check out the hairstyles of the models!